The command is - " EL"
*Step 1-select first end point of ellipse. 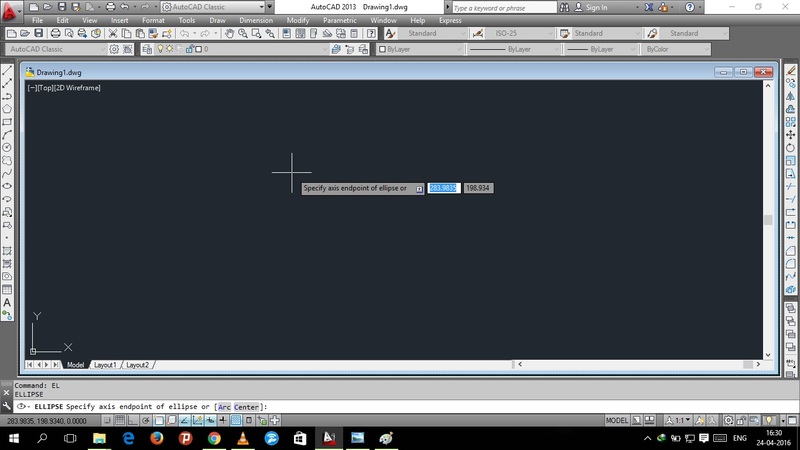 Step 3:-now specify the second axis distance and then press enter. hence the ellipse is drawn in three easy steps. the ellipse is drawn by center method. *Step 1 :-write the command 'EL' and then select 'ARC' as in figure. *Step 4:- now select start point of the arc.